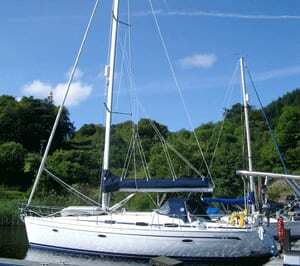 Jeanne is a spacious Bavaria 42 Cruiser with three double cabins, making her ideal for sailing in comfort with a crew of six. Details of the layout can be viewed below, but to summarise consists of: two large aft double cabins; on the port side is the aft heads which also contains the shower, and the navigation station lies opposite. Forward of the saloon is a large double cabin which serves as the Master Cabin, with the second heads and wash basin ensuite to this. Her well-equipped galley has a three-burner stove with oven, complemented by a large refrigerated ice box and a separate fridge. 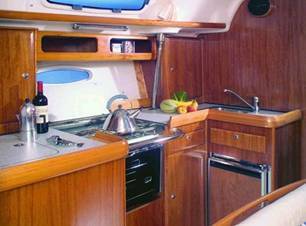 The saloon is spacious and light, with a couple of deck hatches helping to shed light on matters. As with all of our boats she is equipped with warm air cabin heating. 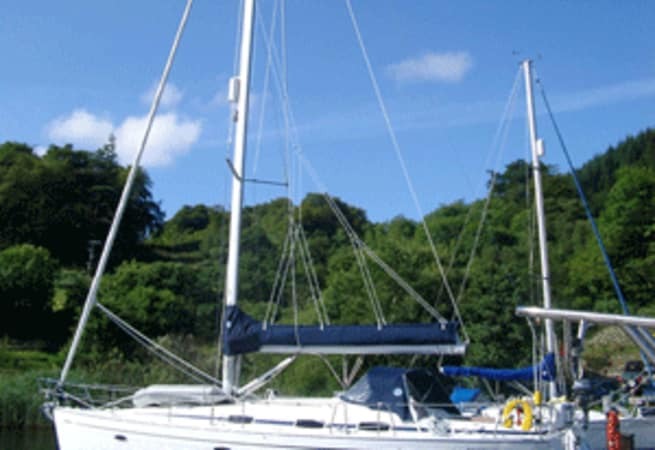 She is available for skippered and bareboat charter and prices start at £1900.00 per week.